Today begins the month of July. Hard to believe. During July, Mother Church celebrates the month of Precious Blood. It’s a good month to reflect on what Christ’s blood–shed for us–really means for us. The litany at the bottom of this post offers some suggestions on this matter. It shares that Christ’s blood is the incarnate Word of God, the stream of mercy, the victor over demons, the help of those in peril, the refreshment of souls, etc. It’s a beautiful litany. It might be worthwhile to reflect each day on one line of it. This month affords us an opportunity to reflect and devote ourselves to the Precious Blood. Check out this apostolic letter from Pope John XXIII: On Promoting Devotion to the Most Precious Blood of Our Lord Jesus Christ. This is also a month to pray for the Society of the Precious Blood and its members, especially now during the transition to new leadership in the Cincinnati Province. V/ Lord, have mercy. R/ Lord, have mercy. V/ Christ, have mercy. R/ Christ, have mercy. V/ Jesus, hear us. R/ Jesus, graciously hear us. Blood of Christ, only-begotten Son of the Eternal Father, R/: save us. Lamb of God, who take away the sins of the world, R/ graciously hear us, O Lord. Lamb of God, who take away the sins of the world, R/ have mercy on us. You have redeemed us, O Lord, in your Blood. R/ And made us, for our God, a kingdom. Let us pray. Almighty and eternal God, you have appointed your only-begotten Son the Redeemer of the world, and willed to be appeased by his Blood. Grant we beg of you, that we may worthily adore this price of our salvation, and through its power be safeguarded from the evils of the present life, so that we may rejoice in its fruits forever in heaven. Through the same Christ our Lord. R/ Amen. 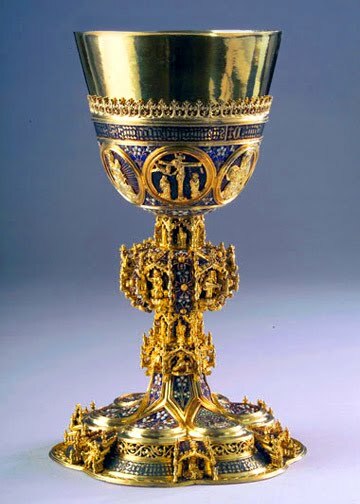 This entry was posted in Catholic News, Eucharist, Reflections. Bookmark the permalink.